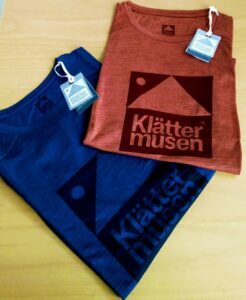 Klattermusen Eir T-Shirt Review Recently updated ! 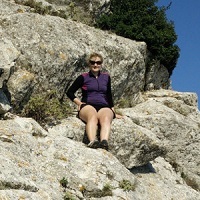 This entry was posted in Gear Tests and tagged backpacking merino t-shirt climbing merino t-shirt hiking merino t-shirt klattermusen klattermusen eir on April 15, 2019 by Laura P.
When we at Best Hiking found out that the well-renowned Swedish outdoor brand Klattermusen is making base layers made of a blend of Merino wool and silk, we didn’t hesitate a second to contact them for samples. Fortunately, the Klattermusen team agreed and we have now been testing the Eir t-shirt (for men and women respectively) for the past months. Here is what we have learned about this sustainably produced base layer. It is no secret that we absolutely love Merino wool as a base layer material. Among other things it is soft, breathable, naturally anti-microbial and great at maintaining your body’s natural temperature. The only downside of Merino wool is its durability – not least considering that it is not the cheapest material. Many manufacturers have tried to make up for this shortcoming by blending Merino wool with synthetic fibers like nylon, but this also gives the fabric a somewhat less “natural” and soft feel. Klattermusen has chosen to go in the opposite direction and instead added another natural, but stronger fiber – silk. Although the claim that silk is stronger than steel is somewhat exaggerated and misunderstood, silk is indeed more durable than Merino wool. As a fiber, it is also lighter and dries faster. Klattermusen’s blend of organic Merino wool and silk in the Eir t-shirt is thus a home-run in terms of both comfort and functionality. The fabric has a very soft natural feel to it and delivers all the properties we are used to from 100% Merino wool base layers: breathability, moisture-wicking, odor resistance and temperature regulation. It should be mentioned that Klattermusen has gone above and beyond when it comes to ensuring that the t-shirt is manufactured with respect for both humans and nature as it is GOTS-certified (Global Organic Textile Standard). This of course entails that the price for the Eir t-shirt is a bit higher than for comparable Merino products. For women, the Eir t-shirt comes in five different colors (yellow, rust, grey, dark and light blue) while the long-sleeved version comes in three colors (rust, grey and purple). For men, both the short- and long-sleeved Eir come in four colors; rust, grey, dark blue and yellow (long sleeves) or light blue (short sleeves). For those (men) fearing that the inclusion of silk will somehow make the fabric more shiny, we can say that Klattermusen Eir merely has a sheen comparable to that of 100 % Merino wool shirts. Note: After using the Eir t-shirt for nearly two years – both for hiking as well as everyday use, I must say that I’m very impressed over its durability. 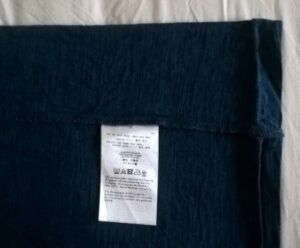 Unlike other frequently used and washed Merino garments I own, there are no tears or holes in it yet. Should any ever occur, I’ll be ready to repair it with some tender love! According to Klattermusen’s general sizing scheme we are a size M (women’s) and L (men’s) respectively, but we were advised to size down and received sizes S (women’s) and M (men’s). Both the men’s and women’s model have a regular relaxed fit and are thus comfortable to wear. 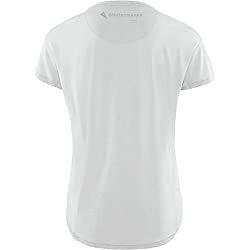 For added comfort, the t-shirt is constructed with seamless shoulders (no seam chafing into the top of your shoulders – with or without carrying a backpack) and sideseams placed slightly backwards for less wear. 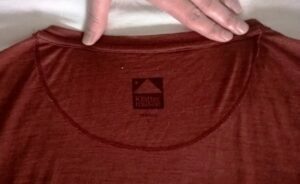 The only negative thing we can say about the Eir t-shirt is with regards to its seams – which are not all flatlock seams. However, due to the relaxed fit, it was not something which we have paid much attention to while wearing it. It is more likely to affect those who will layer the t-shirt with a very fitted mid- or shell layer. The Klattermusen Eir t-shirt can be machine-washed at 40 ⁰C or less on a reduced cycle. It should, however, not be tumble-dried as this process can decrease the longevity of the material. 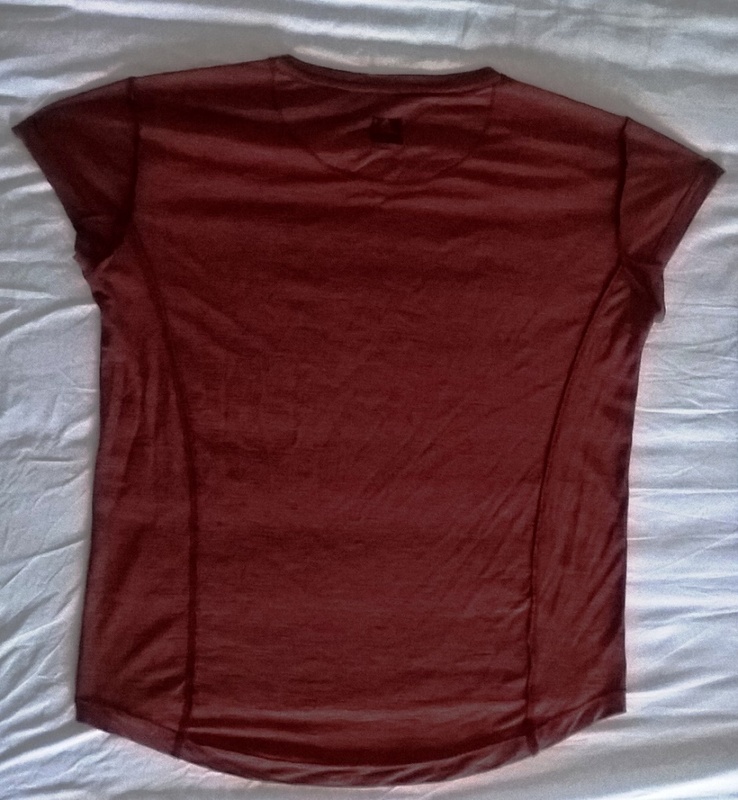 Fortunately, the Eir t-shirt dries even faster than 100% Merino t-shirts of a similar density due to the silk fibers in the material. 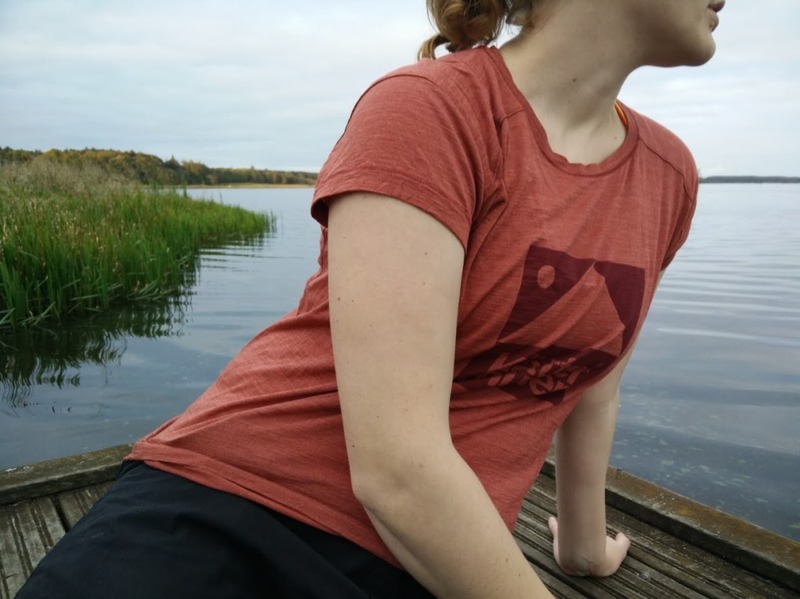 We tested the Klattermusen Eir t-shirt on multiple shorter hikes, through everyday use and especially on the Bolling Lake trail which we did in the end of September. This was a particular great time to test the t-shirt thoroughly as the temperatures varied throughout this all-day hike, meaning that we were sometimes only wearing the t-shirts and other times layering it with a mid-layer and a shell-layer. 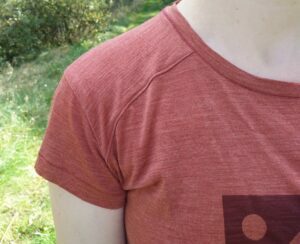 The Eir t-shirt performed superbly in terms of comfort, odor control and the right amount of warmth for the season. After months of testing, we can recommend the Klattermusen Eir t-shirt for hiking, mountaineering and most outdoor activities (including everyday use), no matter the temperatures. Note: As of summer 2018 the short-sleeved Eir t-shirt comes in new colors and with a different Klattermusen logotype across the chest, but otherwise the garment is the same.